JUDGE Stuart Durward said the trial, expected to continue at 2.30pm, would not continue today as the defendant Shane Anthony Singho was "indisposed”. He said the trial was expected to start back in the District Court in Mackay tomorrow morning at 10am. Singho is facing trial accused of dangerous driving causing the deaths of a 49-year-old woman and a four-year-old boy. A MAN is facing trial for driving dangerously and causing the deaths of a 49-year-old woman and a four-year-old boy, north of Proserpine. When Townsville man Shane Anthony Singho was driving in 2013, the car crashed into a river. The woman died by drowning and the boy died by inhalation of blood. Singho, 49, has pleaded not guilty to dangerous operation of a motor vehicle causing death in the District Court in Mackay. Crown prosecutor Susan Hedge said that a group of family members had been driving home after a funeral in Maryborough, with Townsville as their end destination. At the start of the trip, a Rockhampton man had been driving the car of five people. When they arrived at his home on the night of February 9, 2013, the group stopped and watched a rugby league game on television. The four remaining occupants left later that night for Townsville - Singho, a 49-year-old woman, a four-year-old boy and his sister, who cared for the boy. 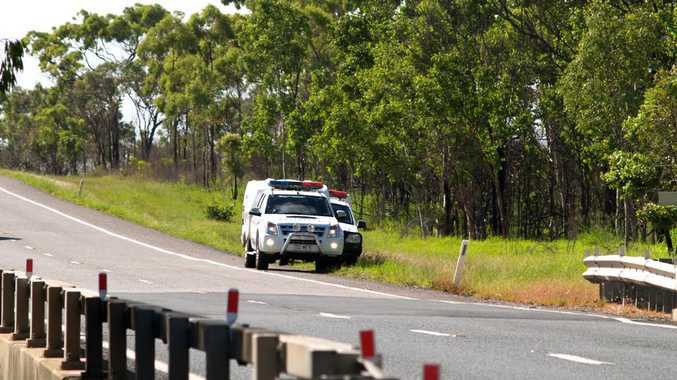 Ms Hedge said the car crashed north of Proserpine at about 6.30am on February 10, 2013. Ms Hedge said Singho had made formal admissions, including that the woman and the boy had died as a result of the van crashing into the river. Singho also made admissions that he was the driver and that the van had no mechanical faults which may have led to the crash. Ms Hedge said the deceased boy's sister and carer would be the "most important” witness in the trial. The woman had woken when she heard the silver Kia Carnival driving over audible lines on the road. Ms Hedge said the woman would testify that she, Singho and the other woman in the car had yelled, and she felt brakes being applied heavily, yet the car continued to slide off the road. Ms Hedge said the issue in question was whether Singho had been driving dangerously - whether he was "so tired” that he posed a danger to the public at the time. A jury of seven woman and five men have been selected to sit on the trial.